Nottingham City Homes (NCH) celebrated its outstanding tenants and leaseholders at a special awards ceremony. 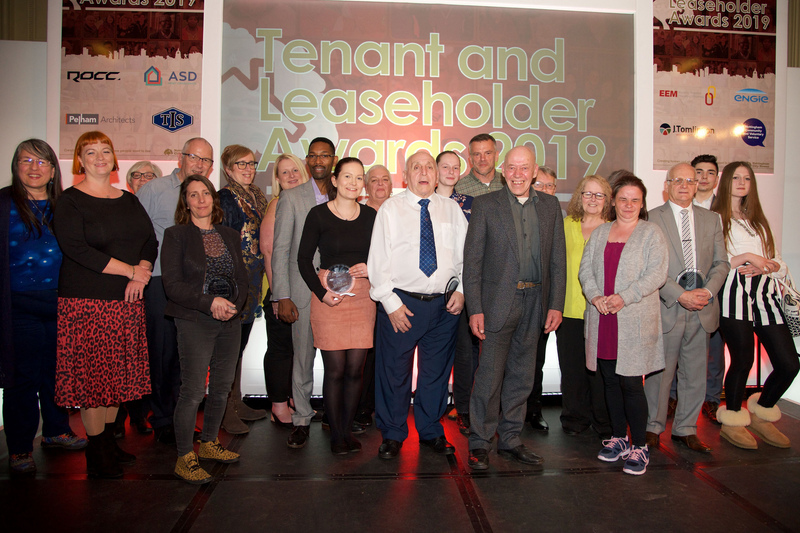 This year’s Tenant and Leaseholder Awards 2019 took place on 21st March at the Council House, Nottingham. These awards recognise the people who go the extra mile for their local community and act as good neighbours, as well as community groups that have made a difference to their area. The awards, which are open to NCH's 28,000 tenants and leaseholders, include 11 categories. This year’s Resident of the Year, Gillian Bainbridge from Aspley, was nominated by two NCH staff members. Gillian won the award for working endless hours on a voluntary basis at Bells Lane Community Centre and as the Secretary for the Belsatra Tenants and Residents’ Association – the longest running Tenant and Resident Association in Nottingham. Her work includes providing a monthly three course meal for the over 60s, arranging activities and trips and events for local children as well as fundraising activities. “I was thrilled to hear that I had won. I’ve been an NCH resident for almost 30 years, and I’m passionate about improving the lives of those that live in my community. I love being a volunteer – it’s so rewarding. I want to encourage others to get involved in making a difference in their neighbourhoods”. Nick Murphy, Chief Executive of Nottingham City Homes, said: “It’s important we celebrate the dedication and commitment from our tenants across the city. We are proud to shine a light on these unsung heroes who are such a benefit to our society. The work these champions do across our community is so important. Whether it’s an individual helping their neighbour with day-to-day tasks, or a community group making a difference to hundreds of people’s lives, every single resident we have met as part of these annual awards, has had a positive impact on their community."